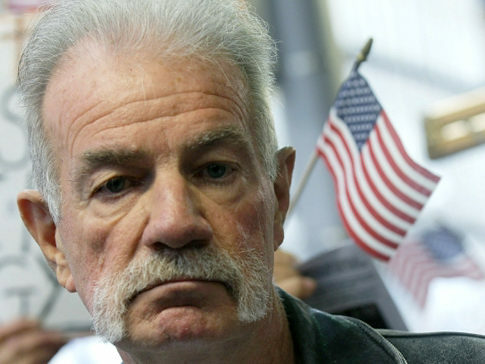 Controversial pastor Terry Jones who caused an international outcry after vowing to burn copies of the Koran on the last anniversary of the September 11 attacks is set to speak at a English Defence League (EDL) rally next February in Luton. Now Jones is set to speak at an EDL rally next February in Luton according to Sky News. British Homes Secretary, Theresa May has been put under pressure by anti racist groups to bar Pastor Jones from entering Britain. Groups such as Hope Not Hate, has called for the government to intervene and prevent Pastor Jones from visiting Britain and speaking at the EDL rally. The EDL plans to organise what is said to be one of its largest gatherings in Luton, in February next year. Pastor Jones claims that he is not against Muslims, but told CNN News, “We believe that Islam is of the devil, that it’s causing billions of people to go to hell, it is a deceptive religion, it is a violent religion and that is proven many, many times.” (CNN: Lauren Russell: July 30, 2010) He also wrote a book titled, “Islam is of the Devil“. Pastor Jones and the far right in America hijacked the September 11 anniversary to spread an anti Muslim message based on fear-mongering and innacurate propaganda, but fortunately many Christians in America spoke out against the Koran burning media stunt and the anti Muslim media reports by the American media. The National Association of Evangelicals said to Muslims that they hoped they do not judge all Christians by a small minority of fundamentalists, and said that they were equally offend by what Pastor Jones and his small congregation of 50 members were doing. The Ahmadiyya Muslim Community challenged Pastor Jones church, stating that his teachings was not Christian and against the teachings of Jesus. If Pastor Jones does come to Luton next year, this is how he should be challenged. For too long white Christians have allowed their government to hijack the name of religion in the pursuit of greed and global resources. Pastor Jones visit to Britain will reveal whether white Christians believe in the words of Jesus or the state. The EDL and Pastor Jones can be challenged if white Christians choose to defend their faith against individuals who hijack religion in the name of white supremacy or Western imperialism, but do they have the conviction to do this? Or is Christianity in the West still mostly about white values and white imperialism? This remains to be seen. The EDL can also be fought from an ideological perspective. Anti fascist and anti racist groups who oppose the EDL must challenge them on British foreign policy. It is one thing to fight against what you believe to be threats in your own country but yet remain silent on the threat your country poses to others. British foreign policy is responsible for militant Muslims and this must be addressed. There is no doubt that religion can be a powerful force for good or evil, but unfortunately because of the influence that it holds over people many individuals and groups continue to use it for their own wicked ends. However, individuals like Pastor Jones can be quickly discredited if people who follow religion expose these individuals for who they are. This entry was posted in Religion and tagged English Defence League, Hope Not Hate, Pastor Terry Jones. Bookmark the permalink. The latest news is that the EDL has withdrawn their invitation from Pastor Jones due to his anti homosexual and racist beliefs. What the EDL is most likely doing however, is adopting a clever tactic where they can disguise the fact that their movement and beliefs is associated with racism and anti Muslim hatred. Pastor Jones is still planning to come to London to hold his own rally.